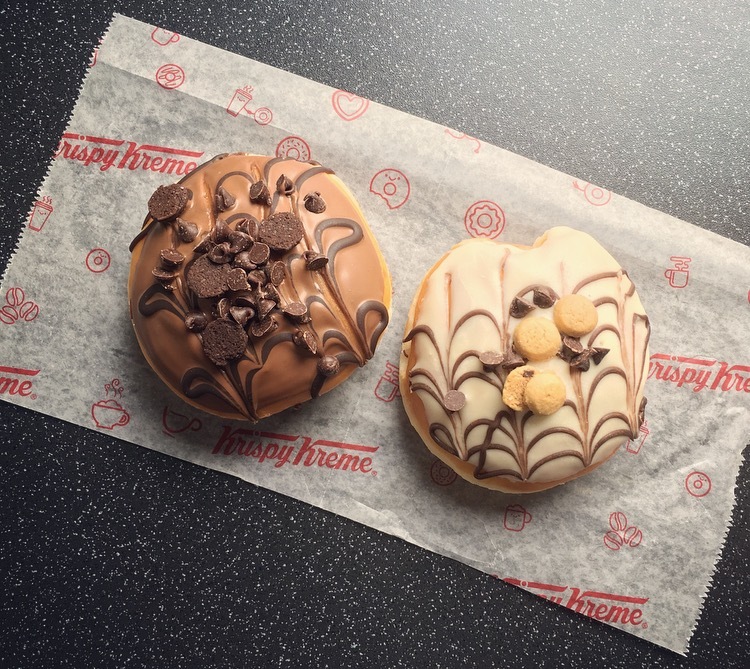 Today marks the day of not one but two new Limited Edition Krispy Kreme doughnuts. Could Monday be off to a better start? Gone are the Valentine’s Love Bug and Honey Bee because it is now all about the Brownie Batter and Cookie Dough. 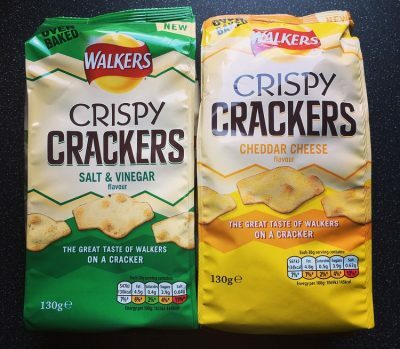 I picked these two up at Tesco Cabinet Stores for £1.90 a pop so lets not dilly dally, lets get tasting. I cannot say that this flavour overly excited me but it is along the same theme of the Cookie Dough. Aesthetically it is rather decadent and appealing especially within a cabinet of doughnuts. The chocolate coating on top was incredibly thin and to the point it just kept falling off every time I handled the doughnut, by the end I had more on my plate than on my doughnut. This however was the least of my worries, slicing open it would appear, very evidently, that there is a whole load of brownie batter missing from my doughnut. That’s right guys and gals a whole half a doughnut with NO filling. To say I wasn’t best pleased would be a smidge of an understatement. As suggested this is a chocolate upon chocolate upon chocolate number. What I did taste of the filling was rich and chocolatey but it didn’t remind me of brownie batter in the slightest, nor did the brownie chunks on top which were more like soft stale mini cookies. 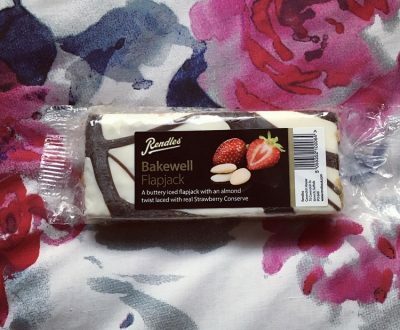 Thankfully it was a lot nicer quality chocolate than some Krispy Kreme Doughnuts and disregarding the side with no filling, it was as a whole a pleasant chocolatey doughnut. Now this is the kiddie that I was most looking forward to. Lets face it there is something heavenly about eating cookie dough and something I really could eat all day long. Little sparse on the toppings but again I loved the design of the doughnut, and it looks a bit more upmarket than the sprinkles or the gloss. Thankfully the filling on this one was even and pretty packed in there. God forbid if we had a repeat Brownie Batter situation in there as I envisage I’d have been sobbing in the corner! The doughnut was the usual soft, fluffy doughnut you expect from a Krispy Kreme and after one bite it was hello cookie dough! 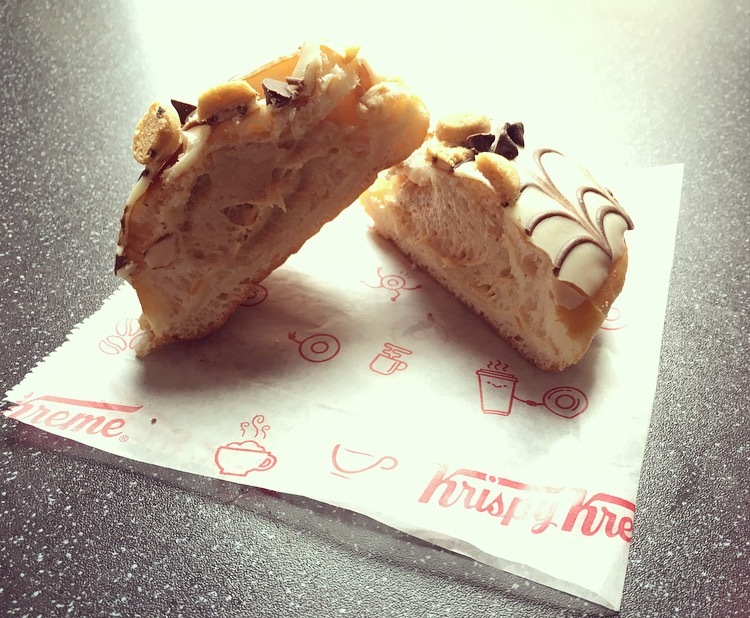 The cookie dough kreme was bang on cookie dough flavour and frankly should be sold by the bucket load. The white chocolate wasn’t too sweet, was of a good quality and complemented the cookie dough kreme and chocolate chips. Really the only let down was the cookie pieces on top were a little soft and stale like, which I don’t think Krispy Kreme thought about how fresh they would stay when designing this doughnut. If anything they should have topped it with cookie dough pieces, hint hint!! That said as a whole it’s super scrummy and I want another! 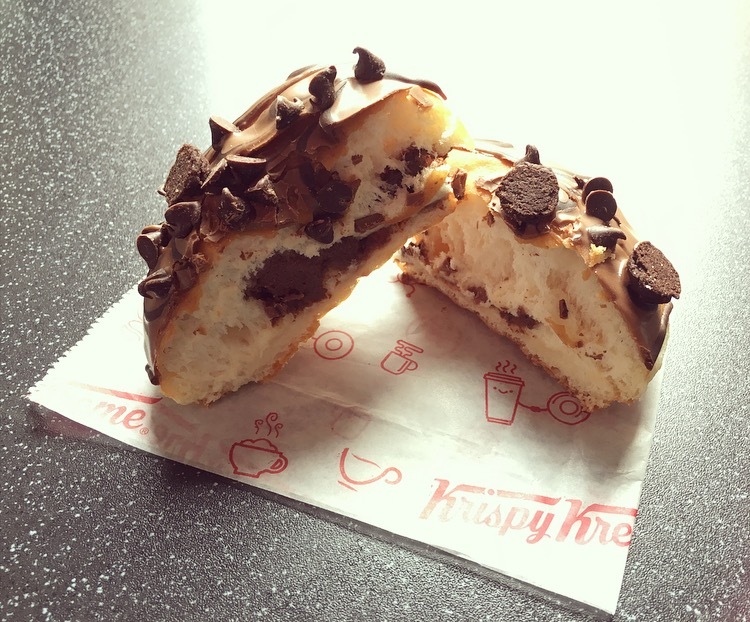 There we have it the New Limited Edition Krispy Kreme Brownie Batter and Cookie Dough Doughnuts have been devoured. Of the two the winner by a million miles is the Cookie Dough and the only one I will happily buy again. As expected the Brownie Batter was neither here nor there and to me does not reflect brownie batter in any way shape or form. If you want to try one go for the Cookie Dough, you won’t regret it. But be quick they are Limited Edition. Oh no I would be devastated if that was my doughnut, I will have to see if I can purchase one from my local store anyway as they do sound rather scrummy and hopefully mine will be full to bursting with filling 🙂 . Thanks for yet another honest review.